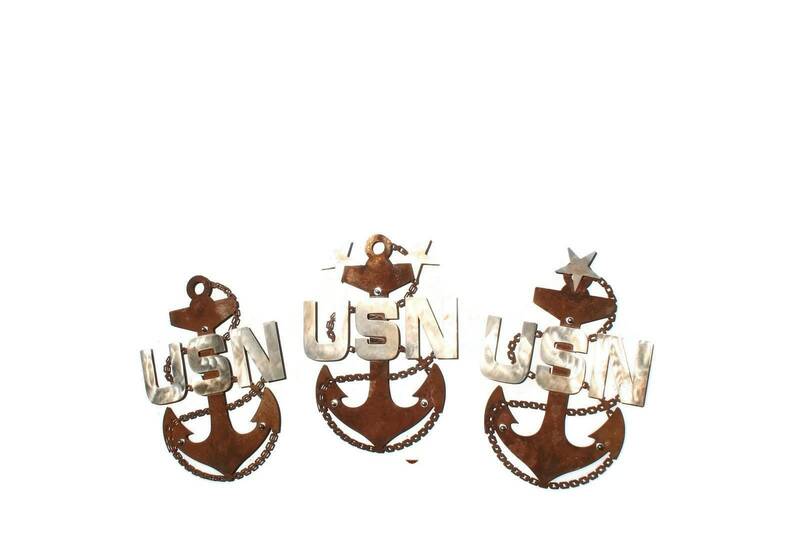 US Navy Chief's Anchor is now available in a rustic style! 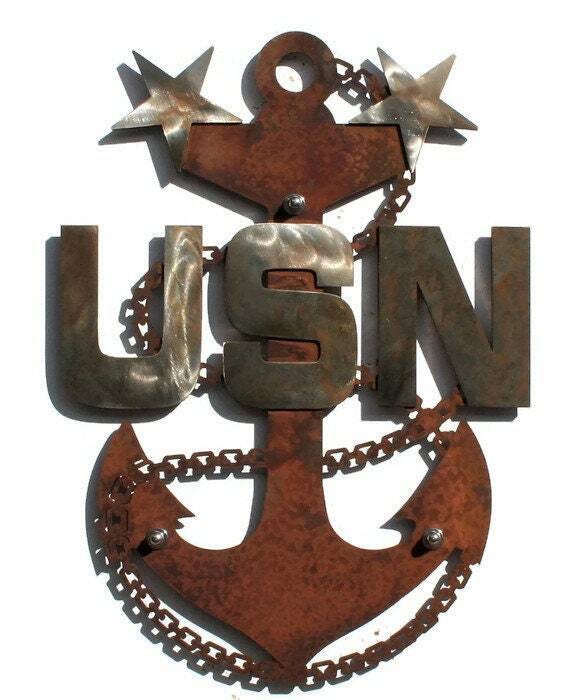 Makes a great gift for the rugged, outdoorsy Chief. 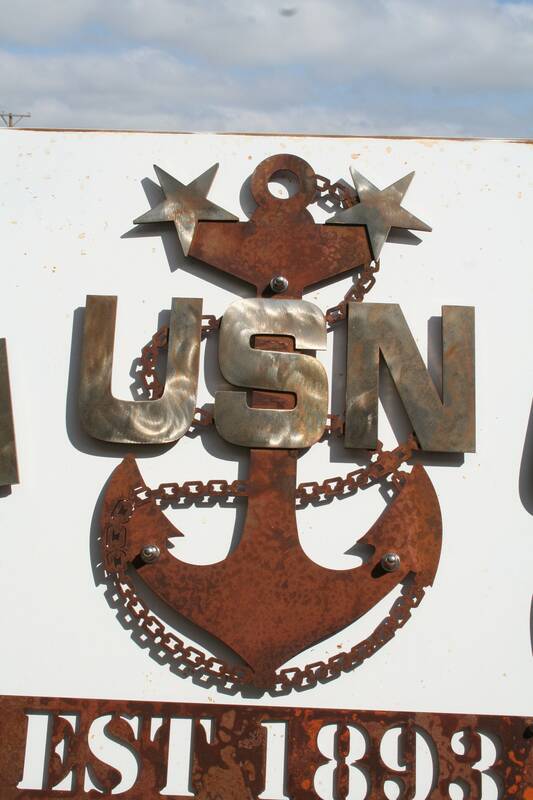 This rustic Chief's Anchor will continue to patina with time outdoors. Apply a thin coat of beeswax to display indoors. 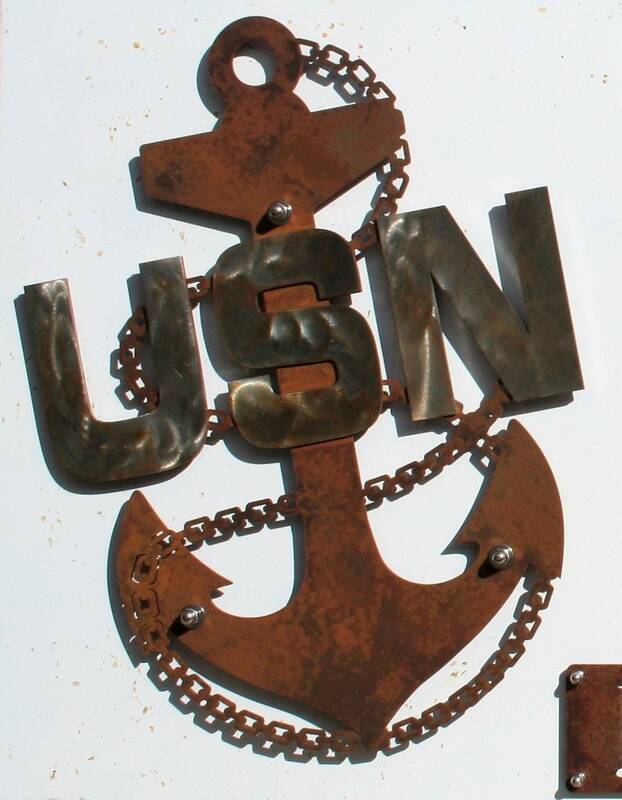 The USN is cut from stainless steel providing contrast from the rusted anchor. 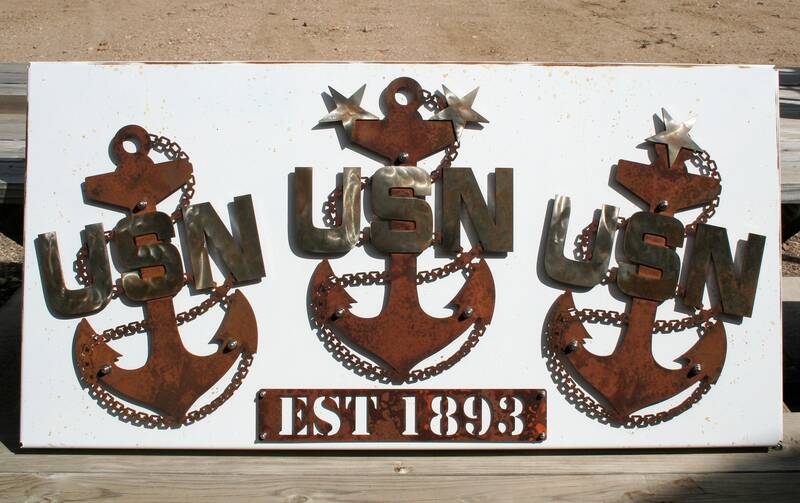 The rustic metal anchor is 19" tall. 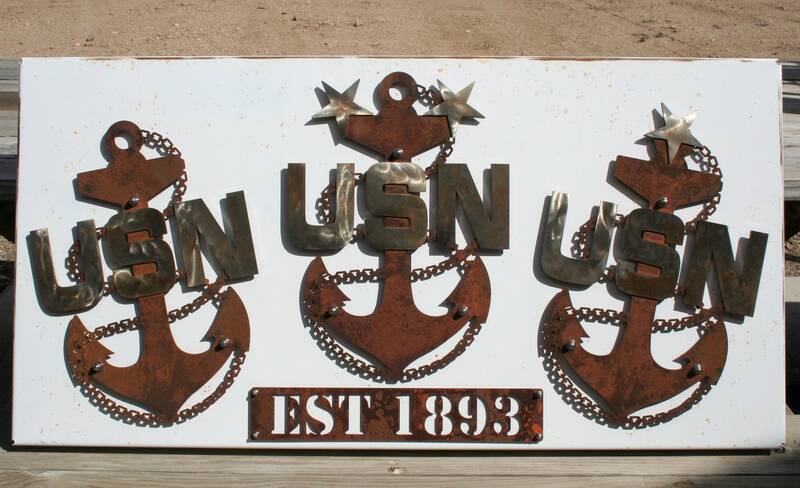 Now available in a full sign with all three anchors attached to a white backing plate. 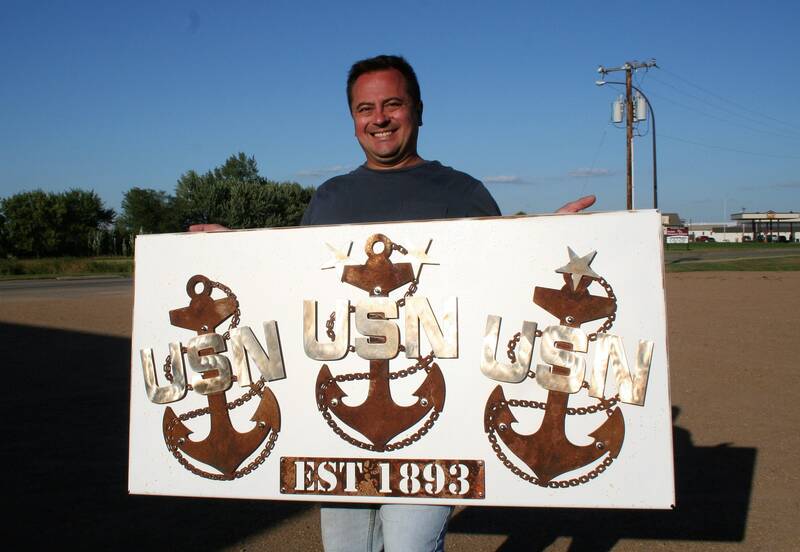 The white, distressed rustic sign is 24x48" in size. Hangs with tabs on the back for easy installation. Sign reads "EST 1893" at the bottom. Looking for a metallic finish? 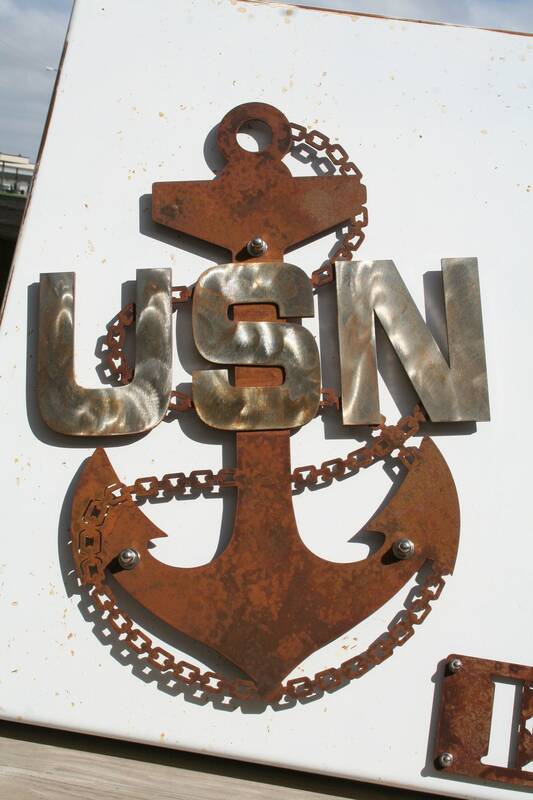 We also offer the Chief's anchor in stainless steel with translucent gold coating. Customization available on that listing! 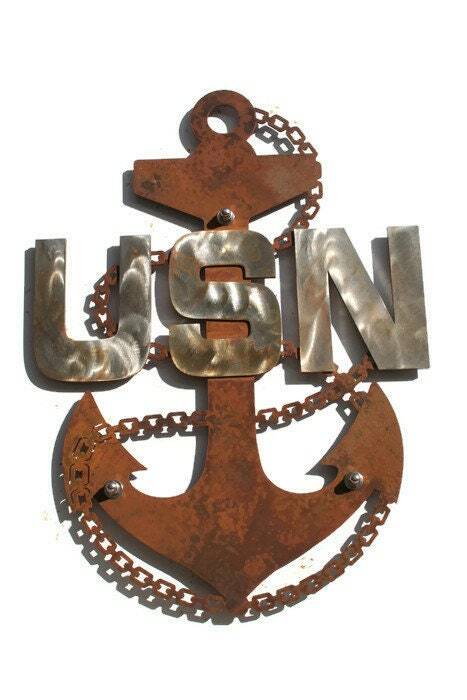 Very nice metal wall art for my home, excellent price and well worth the cost. 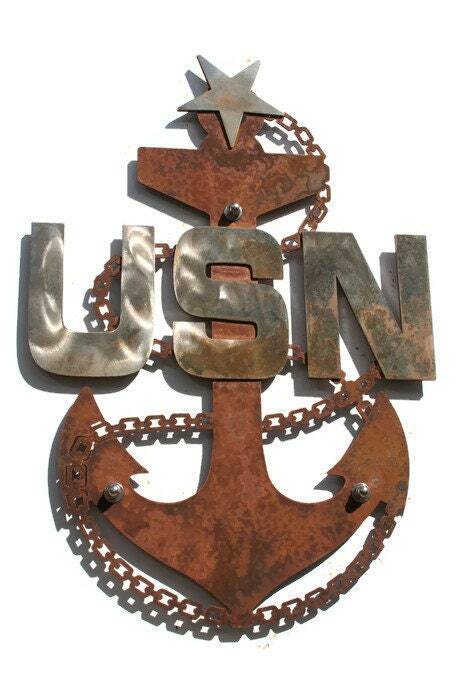 I really like this CPO Anchor! Super fast shipping, beautiful product!